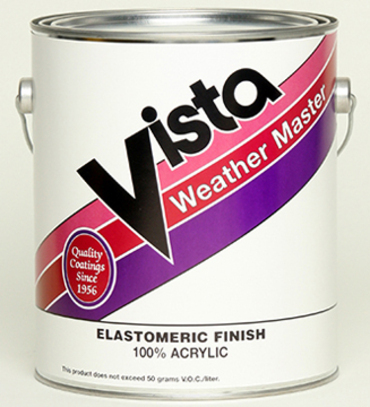 A premium plus 100% Acrylic medium-build elastomeric coating, designed for use on exterior concrete, stucco, plaster, masonry and wood including T-111 siding and other properly prepared vertical surfaces. Exhibits outstanding performance with good elasticity and elongation characteristics. Resists mildew and dirt pick-up with excellent color retention. Recommended Uses: New or previously painted concrete, masonry, plaster, stucco, brick and wood. Colors: White. Custom colors to order.